Create your own Okidata Oki MB480 mono toner pack / bundle with our flexible quantity discount pricing. Mix and match products so you are only purchasing what you need, but also maximizing your savings. 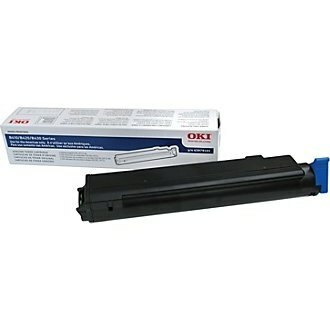 Compatible Black Toner Cartridge with 3,500 page yield. Equivalent to Okidata part number: 43979101. Fits the following model(s): Okidata MB480. Compatible Black Toner Cartridge with 7,000 high capacity page yield. Equivalent to Okidata part number: 43979201. Fits the following model(s): Okidata MB480. 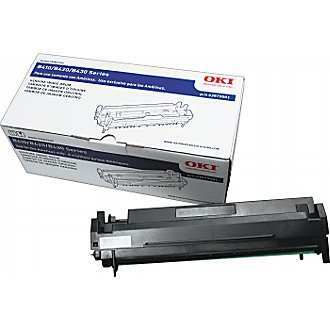 Buy our high quality compatible toner for Okidata Oki MB480 with confidence. Join thousands of happy customers who have found our compatible products are equivalent in page yield and print quality. For our compatible products, we offer a 100% Satisfaction Guarantee allowing you to return products within 6 months if you are unsatisfied. The Okidata MB480 bundles a printer, scanner, copier and fax into its multifunction design that is built to support small offices or workgroups. The laser unit can print the first page out in approximately 5 seconds and is capable of maximum speeds of up to 28 pages per minute for monochrome documents, which falls slightly behind the quickest units of its class. Claiming a low cost per page, the unit has affordable Oki MB480 printer toner and a versatile range of features that make it an inexpensive solution for all-in-one printing in an office. Measuring at 20x17x17 inches and weighing approximately 40 pounds, the MB480 is a little larger than comparable printers, but should still fit on desktops. One element contributing to its size is its media handling, with its 530-sheet high-capacity paper drawer and 50-sheet multipurpose tray. The option to add a 530-sheet paper drawer to increase its total paper capacity to 1,110 pages will help support those increasing their workflow. The unit is also equipped with a 50-sheet automatic document feeder for fast scanning. 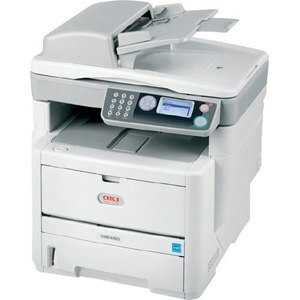 With its flexible connectivity, users can print or fax document from their PCs over the office network, as well as use the device as a standalone copier and fax machine with its front control panel. This includes a full keypad for fax dialing, a four-way navigation pad to access menus, an LCD screen that will keep users updated on document progress and Okidata MB480 toner levels. Reviews for output reveal this device to be on par or better, with text and graphics printing detailed and precise resolutions of 1200x1200 dpi using black Okidata MB480 toner cartridges. 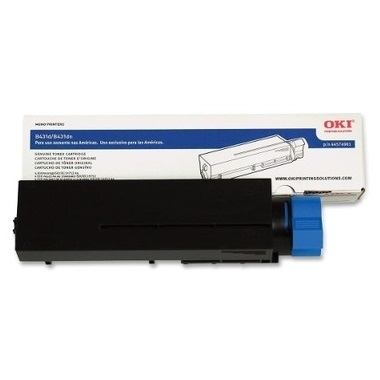 Since the device uses only one black Oki MB480 toner cartridge users won't spend too much on replacements. 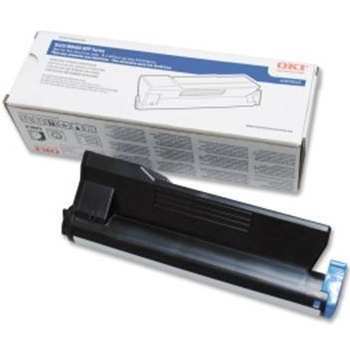 Black replacement toners can yield up to 3,500 each, to support busy offices without the need for frequent replenishment. From its upgradable media handling and satisfactory speeds to its long-lasting supplies, the MB480 is among the better selections for buyers interested in increasing their productivity. Adding its networking and all-in-one design, this monochrome unit is a good solution for busy small offices.